High on my families list of things to do after we arrived in the San Antonio area was a trip to Sea World. My children love the animals and for the older two hit the thrill rides. Sea World really is a place where there is something for our entire family. Even though we went on what had to be one of the hottest days of the year everyone had a good time. Sea World San Antonio is very much like the other Sea World parks we have been too. There are the sea lion shows, the penguins, and of course the stars of the show the Orcas. 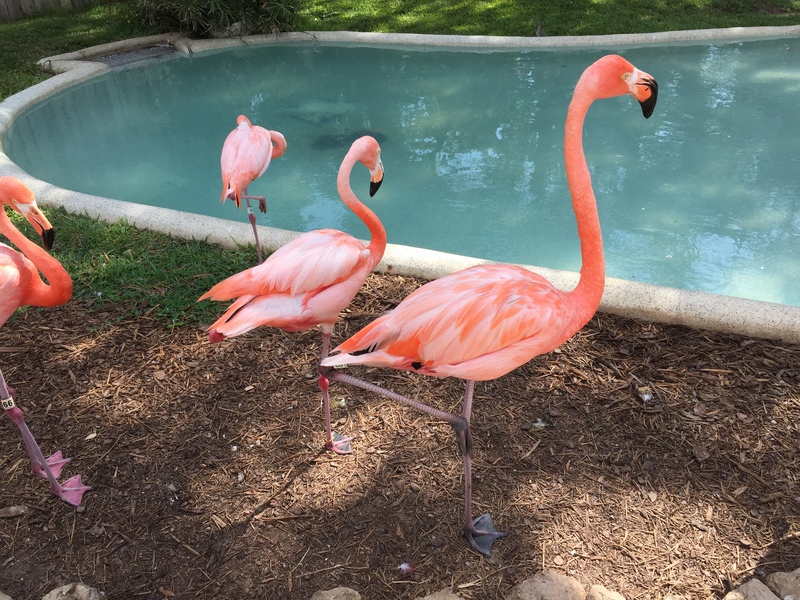 Along with the marine mammals are birds from pink flamingos to brightly colored cockatoos, Sea World is composed of three attractions. 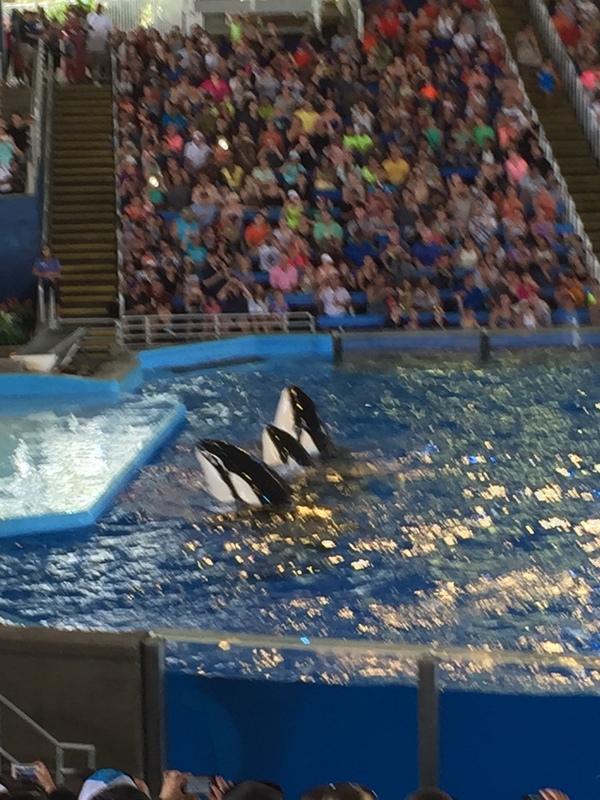 1) The Marine Park, check out shows with the star Shamu, beluga whales, penguins, walruses, seals, and dolphins. Feed dolphins for $5! Visit the aquariums with sharks, exotic fish, tree frogs and more. It’s just a really fun time! 2) There is also a water park that draws many people. Don’t forget your bathing suit because it’s hot and you’ll want to cool off! 3) There are amusement park rides, two roller coasters and a river raft ride. Also, in the kiddie area are rides for the small ones. Hours: The park usually opens at 10am (9am on some weekends) and closes at various times depending on what day it is (generally around 6pm-10pm) from early March to December. Multiple-day tickets are available but you can do everything in one day. The Marine Park is by far my family’s favorite (we are not big water park types). The marine park is really. My eight year old is always entertained by the sea lions and the trick they do. He laughs when the animal always seems to get the best of his human competitor. 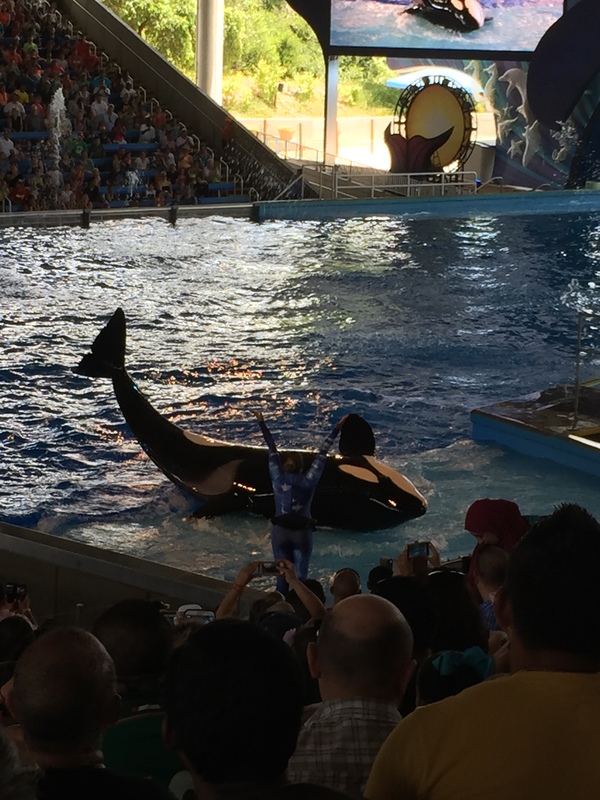 As for the One Ocean Show (Shamu) I have three comments. 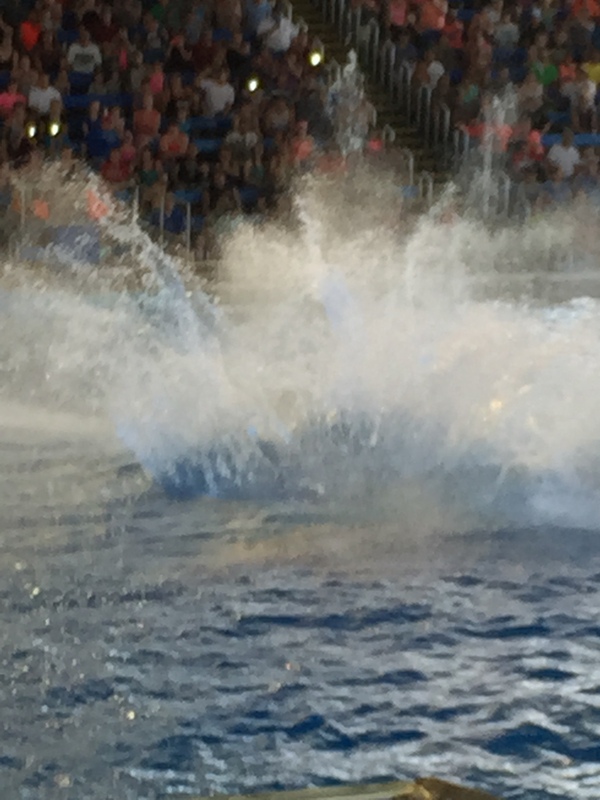 First, the show is great it is magnificent the way that Sea World shows off these animals and I really hope it inspires people to take better care of our oceans. Second, the fact that Sea World acknowledges the Soldiers, Sailors, Marines, Coast Guardsmen and Airmen both serving and veterans is great, but they take it a step further and also recognize any member of the Armed Forces of the Allies of the United States that may be present. This is really cool. My third comment is kinda negative, the One Ocean pavilion is big and covered so you are out of the sun, but some big ceiling fans would do wonders for the audience sitting there waiting for the show to begin. It was really uncomfortable being in their on a hot day with no air moving. 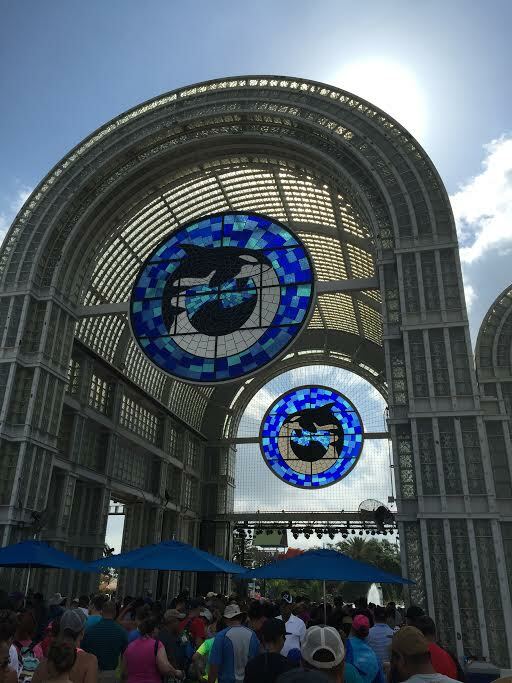 In Sea World San Antonio there are five “Thrill Rides”. One small coaster, Shamu Express, which is really for small than 48 inch crowd. The Great White which is a suspended coaster with multiple inversions. The Steel Eel which after a 15-story drop that plunges into back-to-back camelbacks covers 4,000 feet in about two minutes. You really get some great air time on this coaster. The last two are water rides. Rio Loco is the river raft ride and I must say it is not very thrilling. It was a long line for a short ride and a soaking from a waterfall. No big drops, not even any big waves splashing in. Journey to Atlantis is another typical water ride, in a boat, up a lift hill around a corner and a steep drop to get you soaked. Neither of the water rides have any real theme to them, their purpose is strictly to get you wet, so skip the line and head to the water park. Buy your tickets online, this saves time waiting when you first arrive at the park. You can also purchase your parking online. If you will go more than once in a full year, you should really consider an Annual Pass. This may be cheaper in the long run. Plan your day in advance by checking out the show schedule. Plan to be seated 45-30 minutes before the show starts to get good seats. You are welcome to bring in a small (6 pack size) soft sided cooler with individual waters or juice boxes and a reasonable amount of individual snacks. Try to time your meals with the shows or at abnormal times, otherwise you will be waiting in line for a long time for food. Additionally, the new All-Day Dining Meal makes sense if you plan on being there all day. Bring your own stroller or rent one – nothing worse than dragging a tired little one around all day. Not to mention it is a great place to keep your cooler and souvenirs you might purchase. Plan for it to be hot! Wear lots of sunscreen and hats, find places to cool off, and have lots of patience. Sea World has a great smartphone app. It has all of the park schedules and the things you would expect, however it goes one step further. When you park your car you can tell the app, and then when you leave tired and can’t remember where you parked, it will lead you right back to your car.